Owning A Los Angeles Home Is The Ultimate Tax Shelter! If you don’t own a Los Angeles home, you’re missing out on one of the best tax shelters available, period! The U.S. tax code heavily favors home ownership. First, you can write off the full amount of your annual mortgage interest payments. Unfortunately, in the early years of paying mortgage payments, you are paying mostly interest. The good news is you can write all of these interest payments off. These amounts can be quite substantial! In addition, you can write off your annual property taxes. The largest advantage of Los Angles home ownership is the generous capital gains tax exemption when you sell it. The 1997 tax bill allows you to keep up to $250,000 of the profit without paying any capital gains tax. So if you buy your home for $150,000, and in fifteen years you sell it for $400,000, you can keep all of the profit ($250,000). Joint returns allow you to keep up to $500,000 of the profit tax-free. What other Investment is This Attractive? If you buy stocks, you have to pay capital gains tax when you sell them. If you buy bonds, you have to pay taxes upon their maturity. If you invest in IRAs, you have to pay taxes on the funds when you begin drawing from the accounts. However, home ownership allows you to keep $500,000 in profit, tax free (if you are married) and $250,000 if you are single! Sarah and Sam bought their first home when they were 30 for $150,000. They put 10% down and borrowed the rest. They sold it seven years later for $195,000. They rolled the profits (less selling expenses) into a new home, which they bought for $250,000. Fifteen years later, they sold the house for $450,000. Their initial $15,000 investment is now worth $245,000! In this case, they combined powerful capital gains exemptions with the power of leverage – they used the bank’s money to finance their homes. This simple example illustrates how wealth can easily be created by taking advantage of the U.S. tax code. Every payment you make to your landlord is depriving you of your future wealth! As your local Los Angeles real estate agent and expert, I am available to answer any questions you have about the tax benefits of home ownership. You can call Jenny Durling any time for advice at 213-215-4758 or simply fill out the L.A. Property Solutions contact form below and I will respond right away. Please remember that you are under no obligation or pressure of any kind, I am simply providing a service to members of my community. Questions About Home Buying vs. 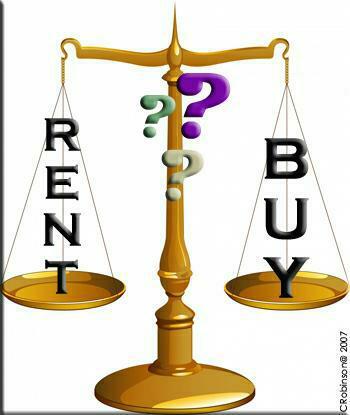 Renting?